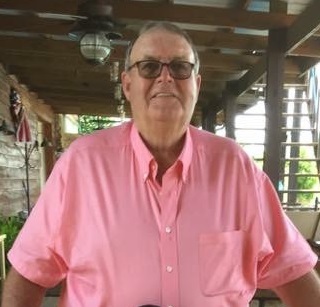 Paul Freeman Annis, 69 of Morgantown, Kentucky passed away Saturday November 24, 2018 at his residence. Paul was born September 5, 1949 in Butler County Kentucky to the late James Truman and Laverne Brown Annis and husband of the late Janie Meisel Annis. He was a member of Salem Missionary Baptist Church, a farmer and entrepreneur. Paul loved traveling from county to county or state to state buying and selling farm equipment and miscellaneous items that he had bought at one of the many auctions. Other than his parents and wife he is preceded in death by one brother Jeffery Annis. Paul Freeman Annis is survived by one daughter Amy Jane Jared (Jim) of Morgantown, KY; two sons Ben Annis of Logansport, KY and Bob Annis (Jessica) of Logansport, KY; five grandchildren Katie Williams of Morgantown, KY, Kobe and Weston Annis of Logansport, KY and Josh and Jolene Jared of Morgantown, KY; one sister Rita Eden (Tom) of Hartford, Ky; nephew Mark Eden (Carla) of Hartford, KY and several nieces, nephews and cousins.